© 2017 COFIGOLF. No part of this site may be reproduced. 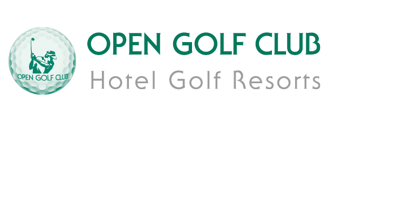 OPEN GOLF CLUB is a trademark of COFIGOLF. The trademark, model and designs are registered and protected. In accordance with case law, COFIGOLF is not be responsible for any error or involuntary omission which occurs despite the attentive care and control of the production of this site. No personal information is used for any purposes other than the envisaged ones. In accordance with law no. 78-17 of January 6, 1978, relating to information technology, computer files and freedom, known as the Loi Informatique et Libertés (Information Technology and Freedom Bill), this site is registered with the CNIL. In accordance with article 34 of the Information Technology and Freedom Bill, you are entitled to a right of access to modify, rectify or delete data pertaining to you. The e-mails sent to OPEN GOLF CLUB and the e-mail addresses used in the forms are kept for use by OPEN GOLF CLUB unless otherwise instructed by you. Any messages you may send to OPEN GOLF CLUB via Internet may be intercepted on the network. Until they have reached us, we cannot guarantee their confidentiality. OPEN GOLF CLUB would like to install a "cookie" in your computer. A "cookie" is essentially your identification card. Generally speaking, it registers information concerning the navigation of your computer on our site (the display language, preferred currency, …) which we will be able to read during your subsequent visits. This information is stored in your computer for a period of 1,000 days. If you use Internet Explorer 5 or 6 (Microsoft) to navigate on the Internet: Click "Tools", "Internet options", "Privacy tab", "advanced". Tick the box "Ignore automatic management of cookies" and select the boxes "Refuse" (reject all cookies) or "Request" (opens the window to control which cookies you accept ). Click "Ok". If you navigate on the Internet with Navigator Gold 3 (Netscape): Click "Options", "Network favourites", "Protocols". Among the different warnings you may activate, the first is "Alert before accepting a cookie". You will, thus, be notified of the arrival of a "cookie" and you can refuse its registration by your navigation software. However, we would draw your attention to the fact that the refusal of cookies may reduce the user friendliness of the OPEN GOLF CLUB site. The information requested when making reservations or enquiries is essential for the smooth processing of your request. This information is intended only for the different departments of OPEN GOLF CLUB for which you have access and correction rights. The persons concerned have been informed of their rights. There is an immediate right of access to the site. The right to correction is exercised via the Internet department of OPEN GOLF CLUB. All of the information accessible via this site has been provided "as is". OPEN GOLF CLUB makes every effort to ensure that the information and data contained on it's website is correct. However, OPEN GOLF CLUB can accept no liability or guarantee that the information and data provided is up-to-date, correct and complete. OPEN GOLF CLUB reserves the right to modify or supplement the information or data provided without prior notice. Open Golf Club may not be held liable for any damage, whether direct or indirect, that may result from information contained on this site. The user agrees not to transmit to this site any information that could involve third-party or criminal liability and therefore agrees not to disclose via this site information that is illegal, contrary to law and order or defamatory. OPEN GOLF CLUB has no control over other web sites which you may access from the OPEN GOLF CLUB site via hypertext links and thus declines any liability concerning their content. The user is solely liable for its use. The creation of hypertext links to the OPEN GOLF CLUB.com site is subject to prior agreement from OPEN GOLF CLUB. Photo credits: © copyright OPEN GOLF CLUB photo library except where stated otherwise. Photographs are non-contractual.